1212 Santa Monica is a unique New California Cuisine restaurant located in the heart of Downtown Santa Monica. 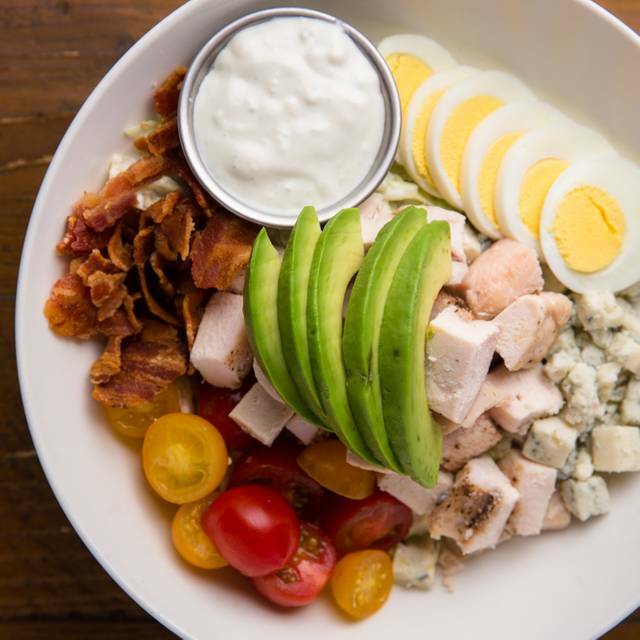 Our menu, crafted by executive chef Hiro Fujita, highlights the palette and diversity of the SoCal landscape. Complimenting the food, our beverage program includes select wines and creative cocktails to enhance your dining experience. The space is multi-faceted, with vintage-chic decor and mixed media art. Enjoy the beautiful beach weather in the patio, gather with your large group in our massive dining room, or plan a private event/meeting at our balcony, private dining room, or board room. On weekends, we heighten the sonic senses every Friday and Saturday with the best DJs and selectors in the west side, setting the vibe for the evening. There is street parking available on Wilshire Blvd. We are also steps away from the numerous parking structures located on 2nd Street between Wilshire and Santa Monica Blvd. There is a bus stop located on the corner of Wilshire and 3rd Street Promenade. Join us for our weekly DJ series #1212soundsgood Friday to Saturday from 7pm-10pm at the Main Bar. Everything about this place is great for dinner, or celebrations. Great ambiance, food is delicious and service was attentive and efficient. Did the price fix menu. Truffle kabocha app had great flavors. The kabocha was over cooked, but the rest was great. Probably the highlight for me. Had the miso cod. Couldn’t taste the miso. The cod was decent. Mushrooms were too heavy w oil. Mashed potatoes were good. Dessert had the profiteroles. Included a chocolate bar that was delicious. Like the ambiance overall. The service was slow but courteous. The food tasted like it was fresh but the sauce seemed dry. First..there is no reason for a restaurant to make a customer with reservation wait 45 minutes to get seated. 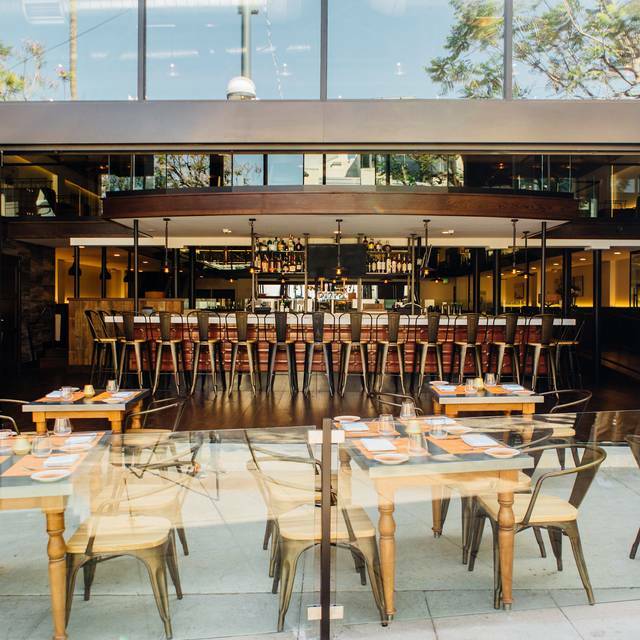 There is no other place to go on a Saturday night in Santa Monica without a reservation. And, I don't care how busy the restaurant is, no excuse for the restroom to look like a swamp. Filthy, messy, wet floors (not water) and no paper. OK. Food was good to very good. Salmon was excellent, we ordered with a side of mashed potatoes. Flatiron steak was just good. Chimichurri sauce was off. Wasabi roasted potatoes were great. The albacore/hamachi crudo with fried onions and ponzu was terrific and I really enjoyed the popcorn shrimp. Not done is what we have come to expect...More mayaonaisy and sort of cheesy..like mac an cheese but with shrimp. We will probably go back, but not on a Friday or Saturday. Management has absolutely no idea what is happening. The hostess was alone on an extremely busy night and did an admirable job. Rico was amazing and I would definitely come back! Great food and service. I had a fabulous Galentines dinner with the ladies and had the perfect dinner and night . Incredibly nice interior. Seems like a great place to grab a drink. We started with the Tuna Carpaccio, which okay. Too truffle tasting for me. Then had the Pesto Chicken Spaghetti, Kinda bland. I probably won’t come back, unless it’s for drinks. It was worth every penny! Would absolutely come back. Thank you. Food was great. Although some dishes weren’t fantastic. Great location for a nice dinner. Experience was memorable and would absolutely recommend to friends. The food was delicious and the place was very nice. I enjoyed the miss marinated cod and the chicken dijon was very flavorful. The wine pairings were a good compliment to the dishes and the happy hour special is great too. Food was terrible!!! I am embarrassed because I picked this place for a girls brunch. I've been there before for apps and cocktails and thought it was fine. Went with six girls and all of us were very very disappointed. It was dine LA but I think almost everything we had could be found on the normal menu. One of the starters was the tuna tartare. It looked like dog meat. It was oversaturated with soy sauce and came with this ridiculous thin rice paper (a papadum which is an Indian thing). I'm Indian and they failed at whatever they were doing. The thing was so thin so you couldn't scoop the tuna with it and tasted awful. My meal was the burger, which had gorgonzola cheese on it. It was just a massive chunk thrown on, it looked like someone had scooped it out of the container. The only decent thing was the fries (and decent not great) and the desert which was cheesecake but neither were something to write home about. The cocktail I had was great but then again for $15, I want to go somewhere I can eat the food too! Wine selection and knowledge (from the server) was good. There was only one waiter for the whole place which was huge but not extremely packed, honestly I don't know how they stay in business. Maybe dumb tourists who only go once! It was my parents anniversary during dinela, service was not bad but the food was very bad. No presentations no taste at all. Really wonder how they receive good rates from customers. When I looked at the menu and the list of choice, it seemed they are serving high quality food at reasonable price but after I tasted all the food... it turned out to big disappointment. Appetizer: so-so. Not much to say about the appetizer. Main: I ordered mentaiko spaghetti, it was so bland and the noodle was overcooked. I asked them to take it back and they replaced to black cod which was also bland but it tasted better than the spaghetti because spaghetti had NO taste. Replacement was served when my family were almost done with main course. I only had 1/4 of black cod. We also ordered ribeye- medium cooked but it came out well done. Only thing I liked about this dish was millefeuille style potato. Portions of each course were too large. If the food was good, we would’ve finished it but since all the food were so bland and has no taste... it was just wasting. Desserts: We had sorbet parfait and chocolate ice cream with chocolate cake. Desserts were not bad. Compare to appetizer and main dish, dessert was the only dish I finished more than a half of the portion. Atmosphere and the interior of this restaurant is good. But I would never go back to this restaurant for any meals. Checked this place out during DineLA, which was a great deal. Lovely ambiance, albeit a little loud for my taste. Food was amazing. The Sea Duet appetizer was bursting with flavor and was a unique hybrid spin on seafood. Ordered the Mentaiko & Mushroom Spaghetti for my main course, which I noticed wasn't on the original menu. I usually stay away from pasta, but this was so delicious and unique. Perfectly al dente with some awesome umami flavor. Ordered the Fruit & Sorbet Parfait for dessert, but wasn't a fan. The "whipped cream" was thick and really sweet. Didn't quite have the freshness of a parfait. I dug deep into my cup seeking the fruit and removed what I could of the cream. Docking one star because it took forever to get seated. Even with a reservation, we waited about 40minutes past our reservation time. Also took quite a while to order and receive our food. Will give them the benefit of the doubt, though. It seemed like a busy night with a bachelorette party and a big birthday celebration in the private area upstairs. Have eaten lunch at 1212 but never dinner. Was the halfway point to meet some friends so I suggested it. Things started good, our waiter Rico was friendly, energetic and polite. We had appetizers and cocktails, which were great and ordered our meals as the restaurant became more crowded and loud. Of the 4 of us 3 meals were perfect but unfortunately the hangar steak failed. It was ordered medium rare and came well done. We sent the it back and was told it would come back quickly. After about 15 minutes I flagged down our waiter and inquired as to the status and still waited another 8 minutes. It isn’t much fun to sit and watch others eat while u wait for a meal that still came back wrong. Great location, reasonable prices and overall a good time.... But don’t think I would go on a Saturday night again. Too chaotic. We went for a delicious lunch during DineLA. Great food and amazing value. Lucky enough to take advantage of Dine LA three course meal paired with wine. Superb selection and amazing food. Well done! Food was very flavorful and decliious, especially the wagyu bead meatball for appetizer and miso black cod for main dish. Drinks were nice and stiff. DineLA options were excellent! Three of us went to 1212 for lunch during DineLA week. The staff there are very attentive and welcoming. I enjoyed the miso black cod which had an interesting flavor that I could not identify. The fish was tender and delicious. The blackberry cheesecake was a generous portion and really good! I ate the whole thing! We were there for over an hour and no one tried to rush us out. It was a very nice lunch. We came to this location all the time when it was Monsoons. It is still under the same ownership. Muy buena comida y excelente servicio. Everything was great. Service, happy hour, and entrees of mushroom pasta and short ribs were all very good. Love the decor for the holidays! Service was poor for the quality of food. Our server was uninterested in us and had to be told several times what we wanted. We needed something for the table and flagged down the manager and he snapped across the room and yelled at the server to help us he didn't even ask what we needed, thought it was unprofessional move by the manager. Definitely a place for happy hour but not for a nice sit down dinner. It would have been really good but I found the waiter slow with service for our table. He made us wait for a long time before getting our orders. I was the birthday celebrant and my guests kept asking me if we were going to order dinner. 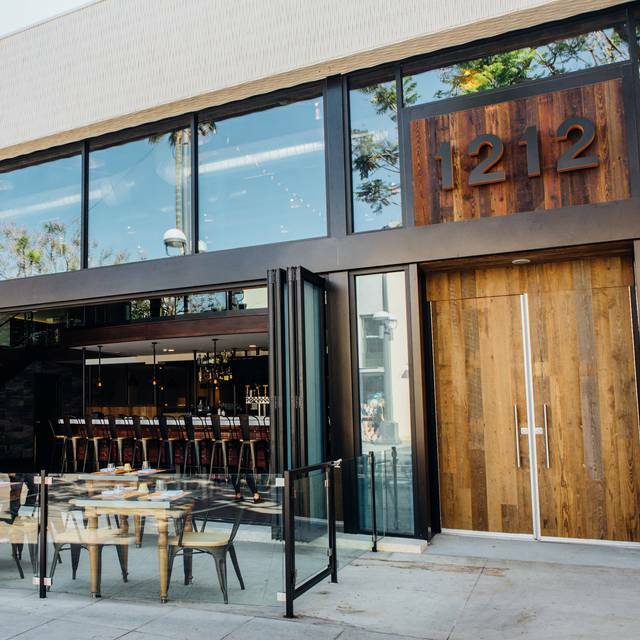 We were a group of 14, mostly Santa Monica residents who have not been to the 1212 restaurant. In that aspect, I was not impressed. This was our first time at 1212; my friends and I were looking forward to an inspired dining experience. Unfortunately, even though we arrived before the lively Friday night dinner scene, the noise level became an issue early on...this is not an easy place for conversation. The food was good, but not great. Two appetizers (beef-wrapped asparagus and yam croquet) were OK, but the beef was overcooked and there was way too much bland yam inside the delicious crust. One friend very much enjoyed her spaghetti; the other said his salmon pasta was overcooked and tasted gummy. We were on our way to a concert and not sufficiently motivated to send food back to the kitchen, but we expected better and aren't likely to return to 1212. In spite of that, we do want to commend Richard; he was friendly and attentive. Very noisy atmosphere but service was good. Food was good but the menu over complicated some basic dishes. This is my third time at 1212 and I have to tell you it's terrific. I've had the short rib, Chilean sea bass, the lasagna, the Caesar salad, the bread baked to order with parmesan cheese and found that there is so much more to try. The staff is attentive, more so than other places, and prompt. Lots of booths for cozy twosomes and a vibrant bar scene with the sports most want to see. Well worth a visit. Awesome Santa Monica eatery experience. Rico was friendly and engaging. The food was delicious, I had the Chilean Sea Bass, Wow! I highly do not recommend this place. Service, from the bartender to the manager, subpar x100. My family came to visit for Thanksgiving and I needed to find a place that could feed turkey lovers and vegetarians. Also, I wanted it to be near where I live. Lastly, I wanted a nice atmosphere with good service. I was very impressed by our server who was always there for us. The food was great too. There is not one bad thing I can say about this place. Job well done! Excellent food and excellent presentation. The service was impeccable. Great ambiance and decorations. Great Monday happy hour ALL NIGHT LONG! Amazing chartucheri platter! Really tasty deviled eggs, amazing Parmesan cheese fries! The cocktails were very good! The ribeye steak with truffle butter instead of with balsamic was amazing! If you like garlic ask for roasted garlic as a side! Cheesecake was very good! All the staff were extra attentive and very nice! This was our first visit and I would give it a 9.5 as a total experience! I had a lovely piece of sea bass that was not complimented by the accompanying sauce. In fact, the sauce did not go well with the fish... my strawberry shortcake was good only for the first bite, then started to taste like chemicals. The cake was wrong, and the strawberries were soaked in sugar because they weren't ripe. Our waiter was overly friendly, but charming and sweet. The hostess was as nice as could be. Very cool place with great atmosphere and wide variety menu.